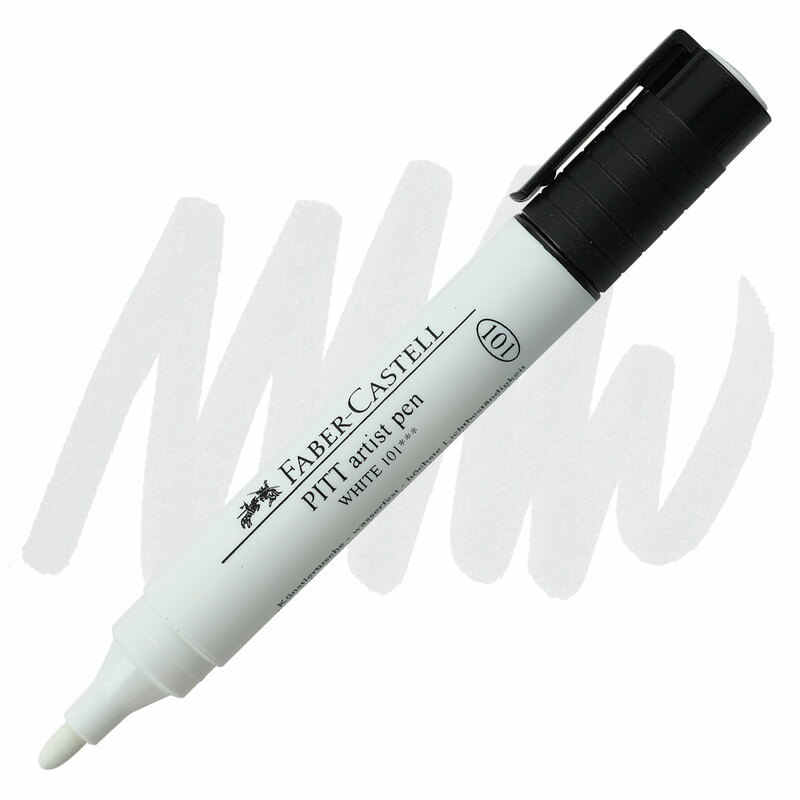 These Pitt Artist Pens contain the same high-quality pigmented India Ink as the originals, but with Big Brush nibs for full coverage or narrow, detailed strokes. Acid-free, archival ink is smudgeproof, waterproof, and won't bleed through paper. Filled with odorless opaque white India ink, this pen has a durable bullet-shaped nib giving artists the freedom to create broad, medium, or narrow strokes with an even application of color.